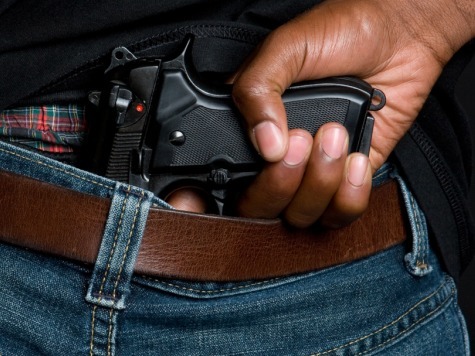 On January 2nd, Detroit Police Chief James Craig said that “good community members who have concealed weapons permits” (CCWs) deter crime and save lives. Craig admitted he did not have this view when he worked as a police officer in Los Angeles for 28 years because he never got to see concealed carry in action: “It takes an act of Congress to get a concealed carry permit” in Los Angeles. Craig said upon first arriving in Maine, CCW permit applications stacked up on his desk because “that was [his] orientation”; he had been conditioned to think that CCWs were of little value, so his efforts to approve applications were minimal. That changed, however, as he paid attention to crime stats; now, as Detroit Chief of Police, he is praising the advantage of an armed citizenry. To be clear, Craig still supports many facets of gun control, but it is encouraging to see an urban police chief openly applaud CCWs. Seventy-seven-year old Detroit citizen Willie White agrees with Craig. White’s home had been broken into “several times” before he decided to arm himself; he shot and killed “an 18-year old intruder” in March 2012. White said he has had no more break-ins.